I’ve mentioned this before, but I’d like to repeat myself here to hopefully help the debunking of the age-old Japanese sentence order myth. Many of you have probably heard this before but to review, here’s how the myth goes. An English sentence must consist of at least a subject, verb, and object in that order. However, in Japanese, the order must be subject, object, then verb. I can debunk this myth is 2 seconds. Let’s see, is this sentence correct? Why, yes it is. And look, the object appears to come before the subject. Boy, that was easy. There are several misleading things about this myth besides the fact that it’s just plain incorrect. First of all, as I’ve partially explained in a previous post, Japanese doesn’t require or even have anything equivalent to the English subject. In addition, you only need a verb to make a complete thought in Japanese. What gets tricky is that the state-of-being verb (the English verb “to be”) can be implicitly implied by a noun or adjective. That’s because Japanese doesn’t have an actual verb for the state-of-being. 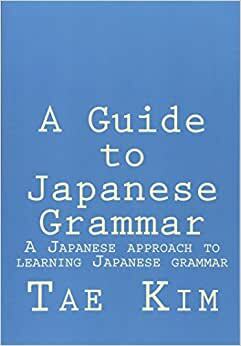 In Japanese, we have things called particles that come after almost every word in the sentence to identify exactly what role that word is playing. That means that no matter where the word is in the sentence, we’ll know whether it’s an object, topic, identifier, target, context, etc.. The only reason sentence order is so strict in English is because without clear rules of ordering, we won’t have any idea which word is supposed to play which role. In English, sentence order changes the meaning of the sentence. In Japanese, because of particles, no matter how you move things around, the dog is still the topic and the tree is still the object. １） Dog[topic particle] tree[object particle] saw. = Dog saw tree. ２） Tree[object particle] dog[topic particle] saw. = Dog saw tree. In order to really understand Japanese sentence structure, you need to break things down into clauses. A clause is the smallest part of a sentence that expresses a complete thought. As mentioned previously, in order to express a complete thought, you must have a verb or a noun/adjective that is a state-of-being. Now, the only thing you have to remember is that everything that applies to that verb must come before it. And that each clause can have only one such verb. １）犬が木を見た。 – The dog saw tree. ２）木を犬が見た。 – The dog saw tree. １）私は学生です。 – I am student. ２）学生は私です。 – The student is me. Surprisingly, that’s really the only thing you have to worry about in terms of Japanese sentence ordering. It’s one of the great benefits of particles actually because sentence order no longer defines a word’s function. All of the following sentences are correct. It is also important to realize that the farther away you get from the main verb, the more extraneous the information becomes. In sentence １, the sentence is mostly centered on the fact that the studying is done at the library while in sentence ３, the focus is on the fact that he always studies. In order to make more complicated sentences, you can take separate clauses and combine them with either with conjunctions or by direct noun modifications. But as long as the sentence structure in each separate clause is correct, there should be no problems with sentence ordering no matter how complicated and long the sentence is. I’m sure linguistic experts will claim I’m totally wrong and SOV is a classification, word order preference, or whatever you want to call it and doesn’t technically require an “S” or “O”. My original point in the article (though admittedly I was younger and more dramatic) is that this classification doesn’t help SLA and in fact creates a lot of confusion and common mistakes for beginners learning Japanese as a second language. It’s a BIG stretch to say there’s some equivalence to English as an SVO language. In English, saying “Ball boy hits” is grammatically incorrect. On the other hand, in Japanese, not only are both “Ball boy hits” and “Boy ball hits” grammatically correct, they have the same meaning if the particles remain unchanged regardless of order. There’s a fundamental difference in the two languages that is not accurately portrayed by this misleading classification. Furthermore, I believe the whole viewpoint of SOV vs SVO linguistically is very western-centric and not a good way to describe Japanese. If you want to prove me wrong with a mathematical proof in the style of formal language theory, that’s one thing but this is far more subjective and to say one is “wrong” because it doesn’t adhere to an established curriculum is short-sighted. I highly doubt linguistics created in a vacuum purely for Japanese would have taken the same approach here. Word order does not necessarily refer to what is syntactically correct, but also to what is marked. Changing the word order makes clear to the listener that you made a conscious decision to put the cake in the front and this conveys information. 俺はケーキを食べた。- SOV. From what I know of Japanese, this is an unmarked sentence. ケーキを俺は食べた。- If Japanese is indeed an SOV language, this word order makes speakers understand that you made a special decision to put cake to the front and the topic closer to the verb. Is that so? If yes, people just need to be taught the difference between word order in the sense of syntactical restraints (any verb final sentence is correct) and word order in the sense of marking (anything not SOV is marked). This idea of “marked” seems to be some artifact of romance language linguistics. There is no special decision to put cake in front or not. That whole type of thinking is foreign and unnatural to Japanese. You can probably make it work but it’s forced and artificial. Topic sets context so due to the nature of its purpose, it’s more common to start with it. However, is ケーキを俺が食べた marked? Who knows? The conclusion of the thought comes at the end so regardless of what particles are used, emphasis tends to increase toward the end. That is far closer to how the actual language works than this forced concept or marked vs unmarked. Thank you for this explanation. Noticing that the particles give away the function of the word already, I’ve asked myself during my studies why the ostensibly strict word order had to be there. That question arose from the fact that my native language, which is usually classified as an SOV language, can also change its word order as it pleases because the forms of the words already give away their functions in the sentence. I am glad I was right in my assumption that Japanese had a lot freer word order than we are taught in college. I love your explanations; they make such sense and seem to get at the heart of Japanese. One comment: I believe that when you say “relative clause” in this post, you mean just “clause.” In general (not speaking of Japanese in particular) a “clause” is a verb and its associated information. A clause becomes a relative clause when it is used to modify something —like, This is the girl *who came yesterday.” So “this is the girl” is the main clause, and the rest is the relative clause. Good point, thanks for the correction!